Ollie Morgan joined the club in the summer of 2011 as the fitness coach for youngsters aged 16 and below. Ollie studied Sport & Exercise Sciences at the University of Birmingham. He combined the work that he was doing at Coventry City FC with his degree, investigating seasonal variations in physiological variables of the U18 Academy players. Ollie continued working for the first team at Coventry City FC whilst also studying for his Masters Degree, investigating into talent identification in elite youth football. 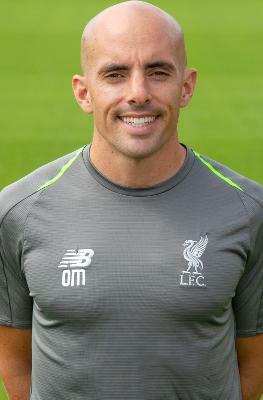 Ollie said: "We aim to provide sport science support through all ages of the Academy and into the reserves at Kirkby, and it is my responsibility to ensure that this support for the younger age groups will allow the players to develop in the short term and develop even further in the long term. "I am thrilled to be working for such a prestigious football club, especially for a club that places such a focus on the future development of the academy players."